Blijft wel een powerfilter en goede stroming gebruiken, om te voorkomen dat door "intensief gebruik" van Fe+ als fosfaat verlager er op den duur neerslag in de bodem ontstaat. Het gebruiken van de "halve methode" kan problemen met zich meebrengen. b.v. cyano en/of een bodem met bruine smurrie. Zover mag het nooit komen, want de powerfilter voorkomt dat ! 1- Op de opvoerpomp als ik het aquarium echt helder wil. 3- als extra pomp in de sump als ik het gecontroleerd wil kunnen kunnen aansturen/uitzetten bij het voeren van mijn haarsterren. 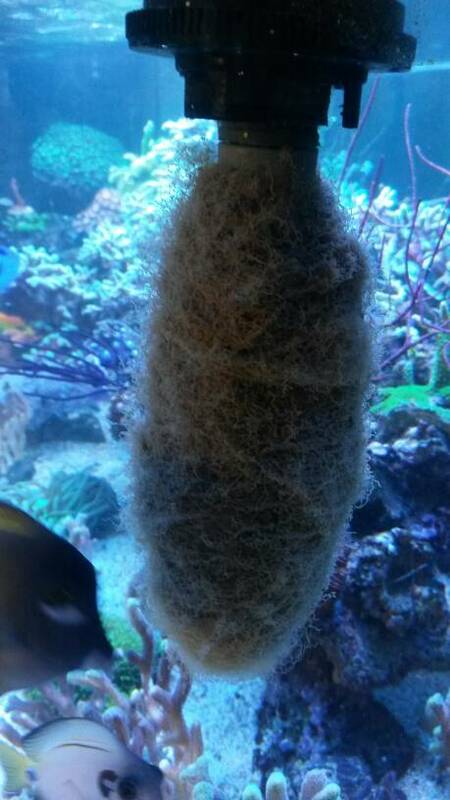 How to replace filterwool on powerfilter. 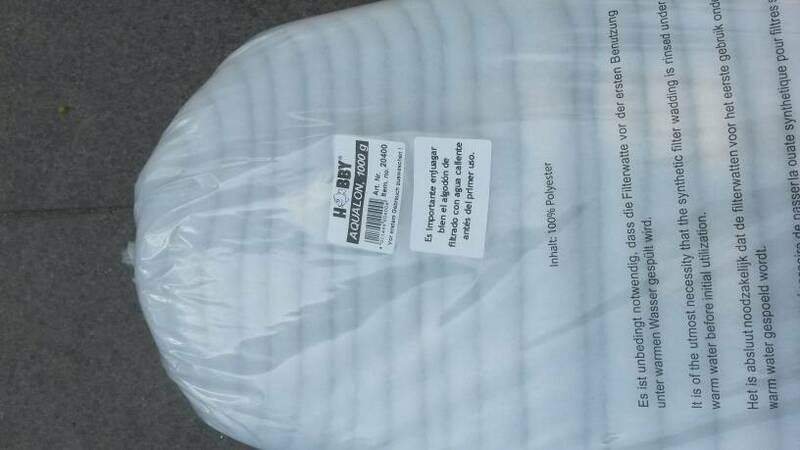 Hoe vervang je de watten van een powerfilter? 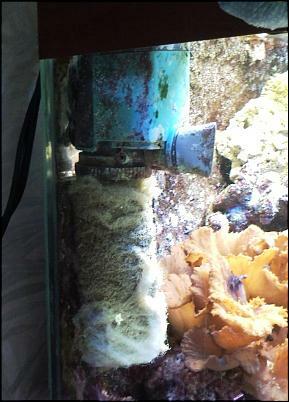 The power filter is one of the foundations of my way of aquarium keeping. 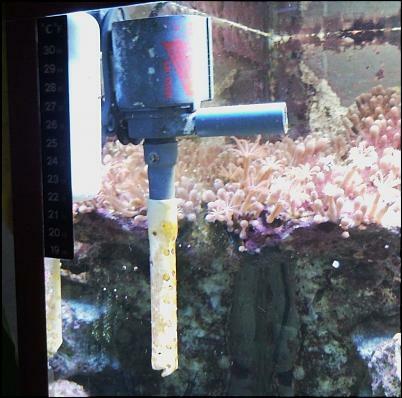 Even before I started "the synthetic aquarium project" and with that DSR, I had the power filter in use for years. 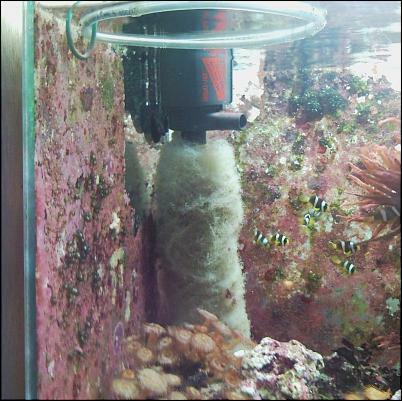 The power filter removes all floating waste from the system and reduces the risk of it settling in the soil or behind the rock. It is essential that there is a varied flow in the system to keep the dirt in suspension so that it can be filtered out by the power filter. 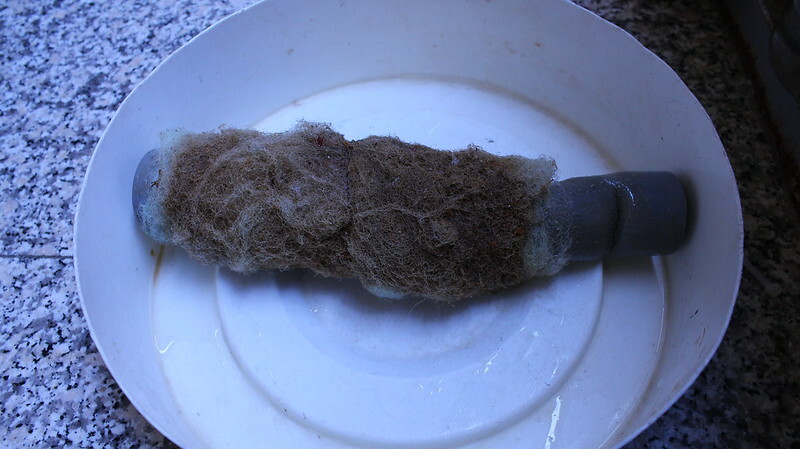 A properly working power filter can filter a system crystal clear without additional resources, provided the pump used is strong enough and the cotton wool stays long enough when it is almost saturated. 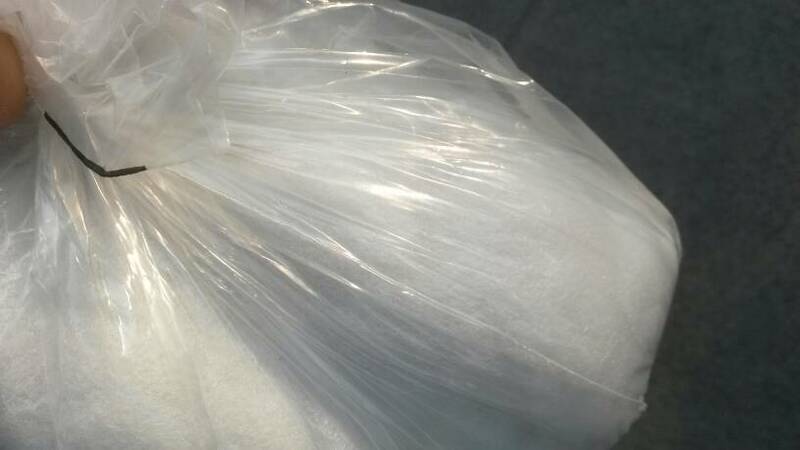 Because the cotton wool becomes saturated, during that period the particulate matter is removed from the water column. This makes the water crystal clear. 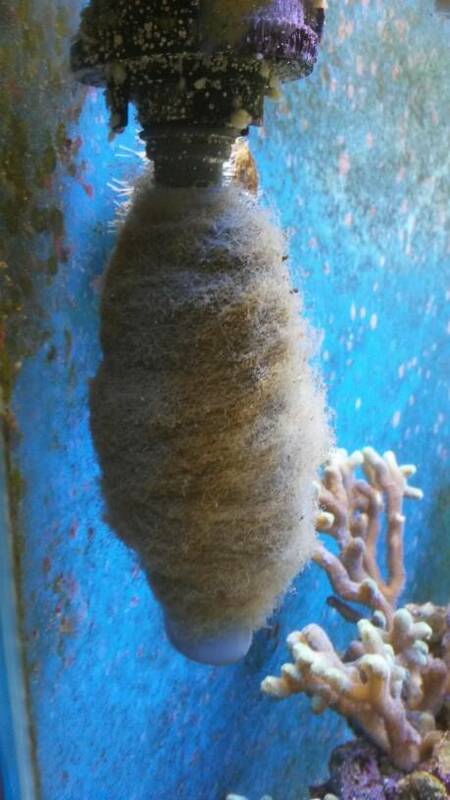 Depending on the feed behavior, occupation and dirt present, the cotton wool should be removed between 2 and 5 days. 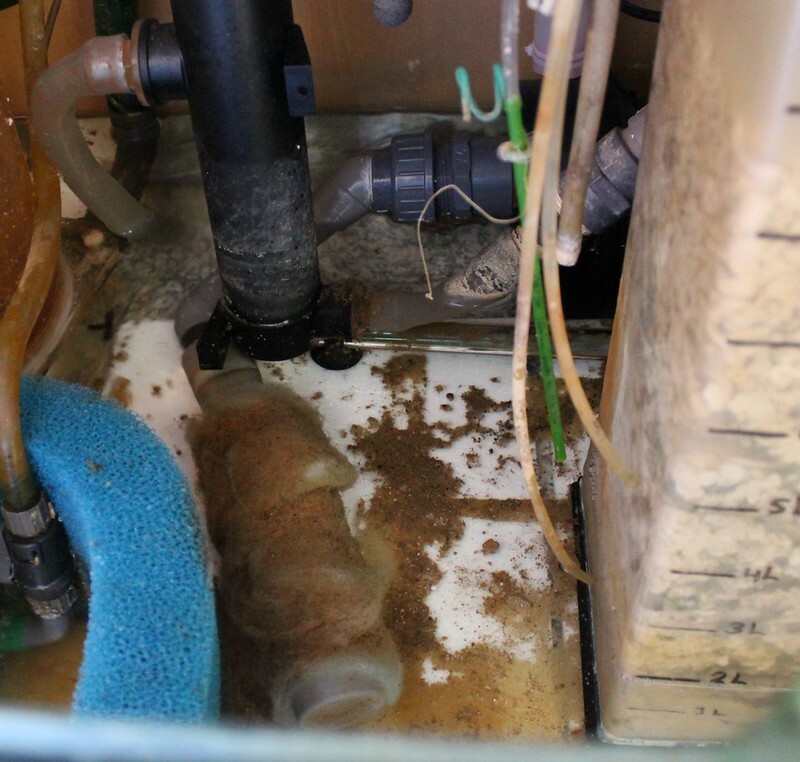 The use of white cotton wool is advisable and the rinsing of new cotton wool is obligatory otherwise the skimmer will be overactively skimmed with flooding and water pollution as a result. 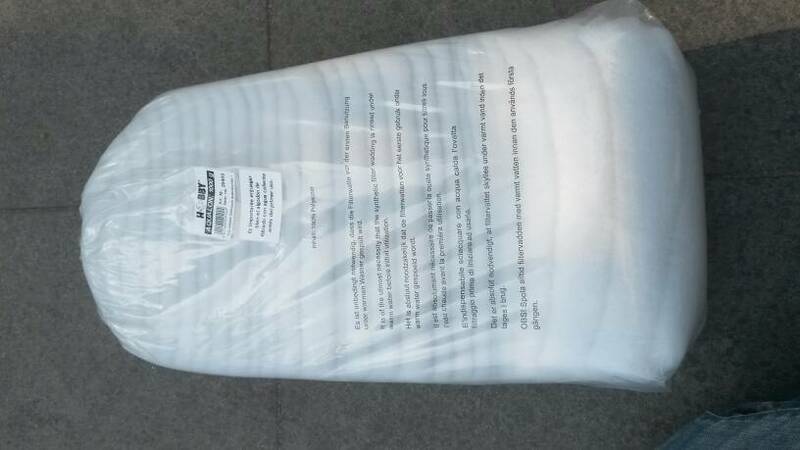 over the years I have tested various types and designs of cotton wool filtering ... including loose cotton in the sump, cotton wool in a separate compartment, cotton wool on flow pumps, sponges and combinations with coarse to fine compartments, as well as bags with or without cotton wool . Everything has been removed and the basic work is still the best. A strong pump with a perforated spool and 3 layers of cotton wool. You do not need more. I do not sell anything, but I wish people who use my method succeed. This is an essential part of maintenance. Deviations on this also give a deviating result, which I can speak from my own experience. Because not everyone is just as handy and wants to do some work, I started looking for a commercially available product, with which a power filter can easily be realized. 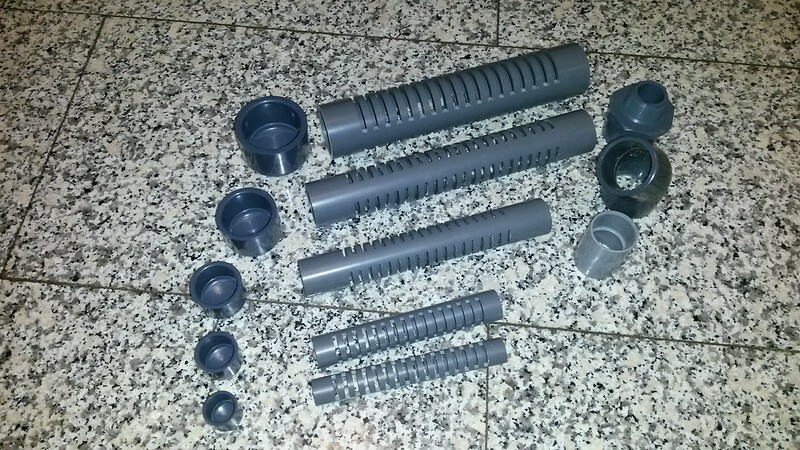 these "suction basket tubes" can be ordered in various diameters from the wholesalers through the lfs. If it is a problem to get them, send me a pb then I will make sure that you get the information where these are available. I do not deliver them myself and do not deliver them, because I am not a store and do not want to be. 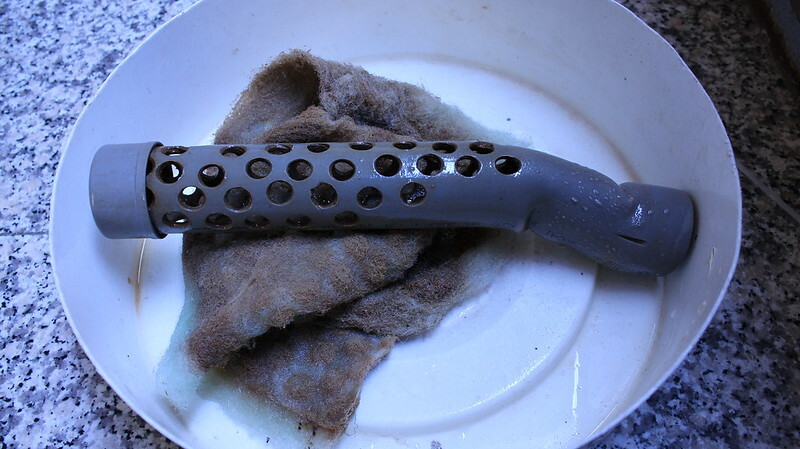 How to clean the powerfilters. 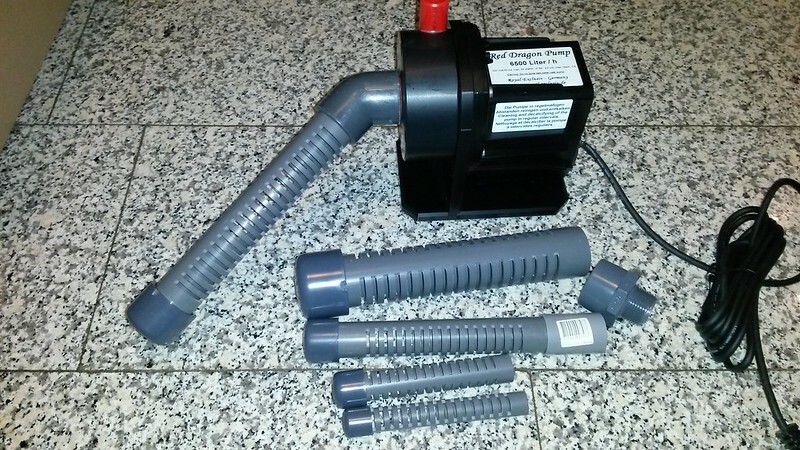 Kan ik deze powerfilter overal halen incl aanzuigbuis ? Of alleen via de link compleet ?